1. 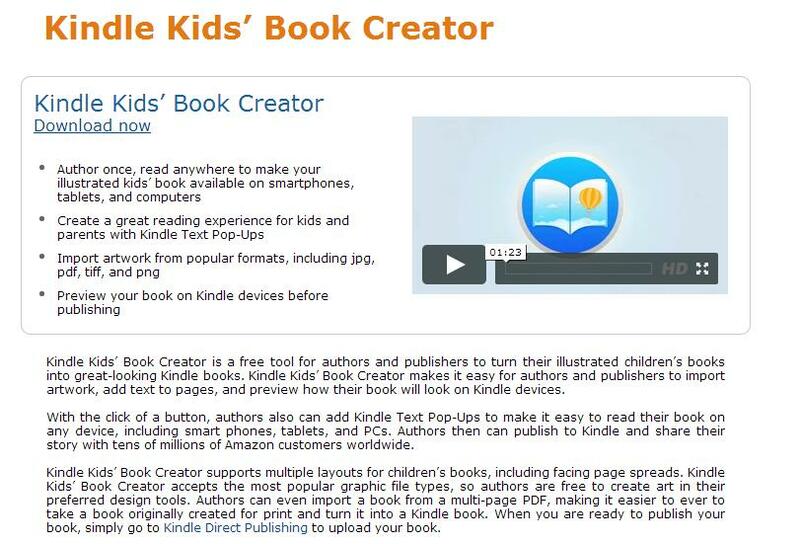 Download the tool, and you can convert individual illustrations into interactive books for both Kindle devices and free reading apps. 2. 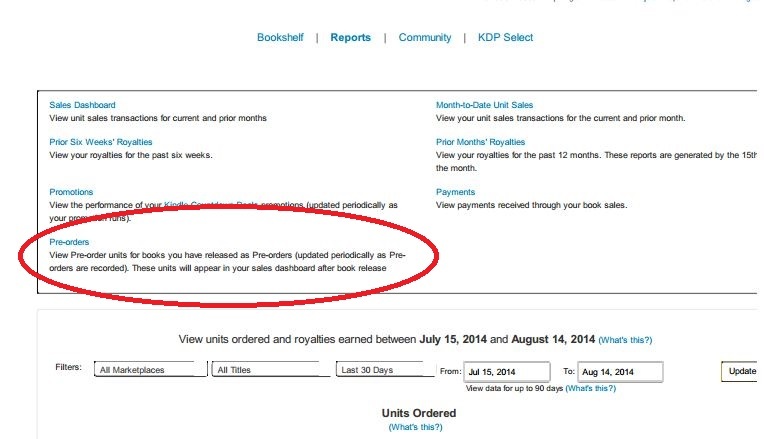 Once your book is ready, export the file and upload it to KDP. 3. Set the book category, age range, and grade range to help customers find the right books for their kids. Want to learn how to prepare, publish, and promote illustrated and chapter books for children? Check out the new KDP Kids for more information. So, while folks have been publishing children’s picture books through KDP since the program began, the hurdles to getting there were significant. Now, the path should at least be a little more streamlined. What do you think? Something you’ll use? These images were not so sneakily stolen from the thread over at kboards.com where heated discussion has erupted as it often does with new Amazon initiatives. 😀 You can check out the conversation here. I know I’ll be using it in the near future for my upcoming release. I’m always willing to give a new tool a shot. I’m hearing both good and bad and the thing has only been live for about three hours. We’ll see how it all pans out though. So, yeah… BookBub. If you haven’t heard of them, then you’re more than likely not a self-published author. If you have, then you know that running an ad with them can often be a marketing and financial boon. I might have set the record for submitting my book (Multiples of Six by Andy Rane) to them… and getting rejected every time. Well, apparently, they just never wanted me to make money off of it. Every time I submitted, I would offer to lower the price of my novel to $0.99. I submitted to them well over 15 times, perhaps 20. Each and every time, I got the standard rejection letter. So, when my next opportunity came to submit, I broke down and submitted the book as a freebie. And now I’m in. My scheduled day is September 2nd. Mind you, this isn’t the first time Multiples has been free. It’s just the first time in a very long time. You see, back in the day, when the KDP Select program was in its infancy, going free could be miraculous. My first free day was in February of 2012. I gave away 6700 copies in a single day (thanks to being picked up by Pixel of Ink and Ereader News Today). The next day, the book went back to being $2.99 and sold another 450 paid copies over the next month. It was awesome. A few months later, I ran another promo. This time, I gave away another 9000 copies, but the post-free bump was less than half of what it had been a few months before. Amazon had changed their algorithm. A free sale was no longer equivalent to a paid sale. I ran my last free promotion for that book during the summer of 2012. I gave away another 2500 copies, but saw no post-free bump at all. I’ll admit, I really didn’t want to go free with that book again. But, now I’m looking forward to it. I only have one other book in that series and maybe it’ll help generate sales and reviews for both. 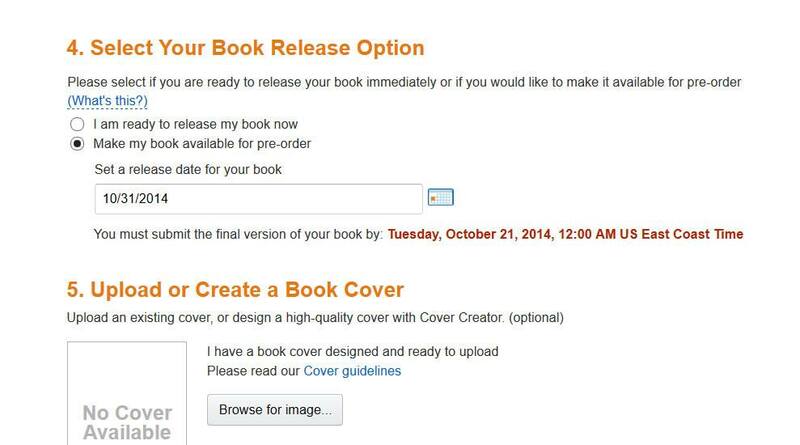 If you’re looking to promote your book, take a good look at the options. BookBub can be a tough nut to crack into, but the results are well documented. Be sure to check out some of the other sites listed above as well. Have you had success with BookBub or other marketing sites? Tell us about it in the comments below!